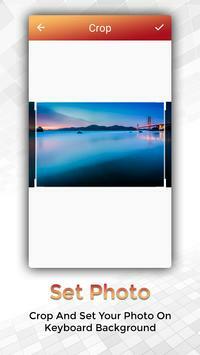 post on social network and write some one messages through Myanmar Keypad. 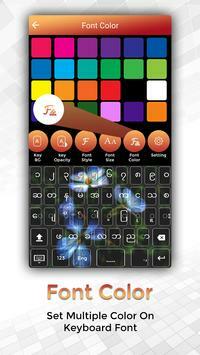 With Easy Typing Myanmar Keyboard, Fonts and Themes you can write all Myanmar Alphabets, letters and words. Myanmar keyboard is the easiest keyboard to write in Myanmar language. 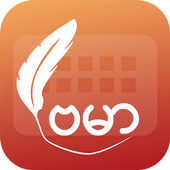 Myanmar keyboard for all of us who love Myanmar language. You can use this keyboard to write in Myanmar text. No need to copy and paste Myanmar text. This app is useful for All people and Myanmar speaking people across the world. 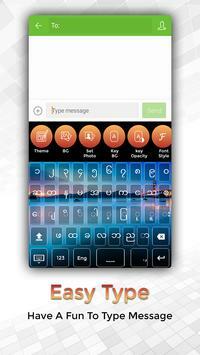 Easy Typing Myanmar Keyboard, Fonts and Themes has all latest tools to make keyboard more elegant. With that you can change theme,background and you can also set your own image in keyboard. you have also choice to set key background and also it's opacity. 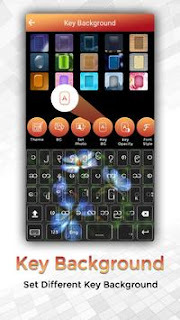 with your choice.with "Setting" you will add vibrate on keypress and also sound on keypress.